We present you a rare opportunity to generate a secure 5 year fixed return via the purchase of a hotel room asset in a boutique 18th century traditional coaching inn. Leasehold owners of the hotel rooms shall benefit from a fixed income stream equal to 8% net p.a. of their purchase price. Income will be paid monthly in arrears as a net figure, no additional costs or fees shall be placed on the leaseholders. 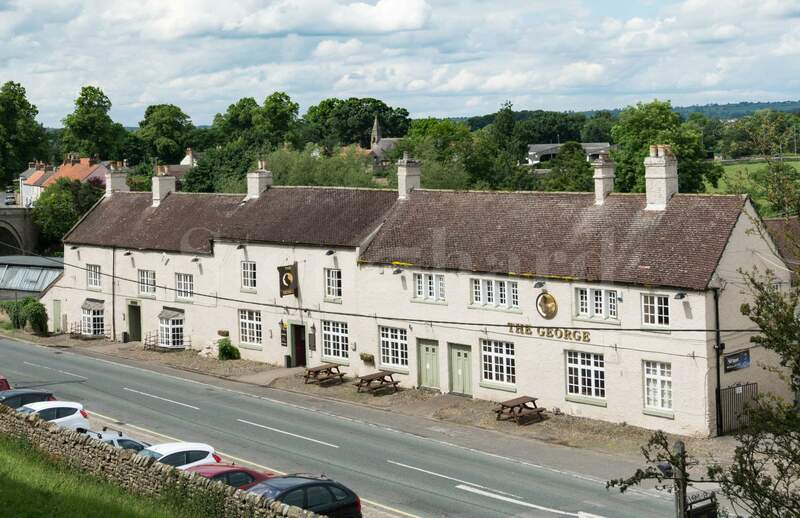 This traditional coaching inn is set in the tranquil roman village of Piercebridge in Darlington, on the border of Yorkshire and Durham, in one of the UK's most attractive countryside with historic castles and gardens. 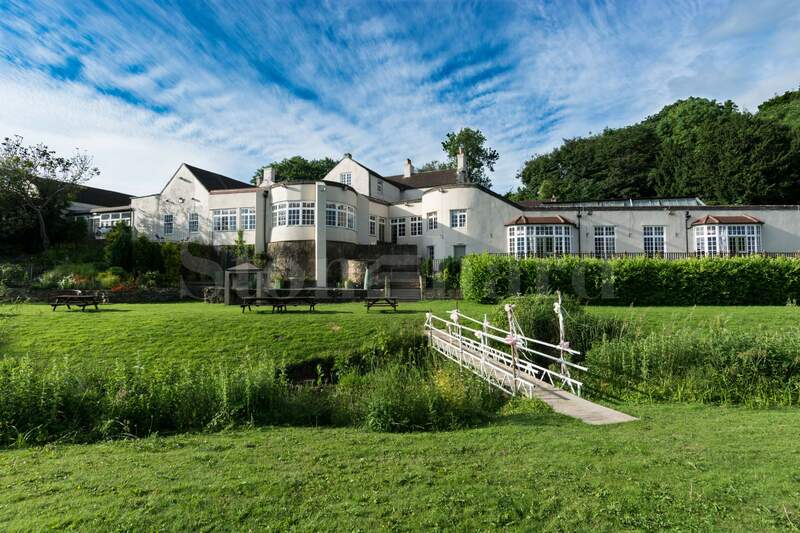 The property lies on the bank of the River Tees. County Durham and Darlington lies at the heart of a region whose history has helped shape the British nation. It is a region of great natural beauty, historic battlefields, castles and cathedrals. Darlington and Bishop Auckland are historic market towns and Durham's Norman Cathedral, included on the World Heritage list, provides a magnificent backdrop for a city of winding streets, picturesque walks and stunning views. This boutique traditional coaching inn features 32 bedrooms, bar, restaurant and function rooms including a wonderful ballroom. Several of the bedrooms and function rooms have views of the river Tees. There are open fireplaces in the bar inside the centuries-old building and all-day menu in the riverside restaurant. There are locally-sourced, fresh ingredients on the menu. During the spring and summer months’ food is served alfresco on the riverside terrace. The hotel holds a civil ceremonies license so couples can take their vows overlooking the stunning gardens and the River Tees. The Grand Ballroom with sweeping staircase has its own bar facility and can accommodate up to 200 guests for a civil ceremony and wedding breakfast and up to 250 for evening celebrations. The stylish Pavilion Room with its light and airy surroundings is perfect for more intimate weddings, accommodating 70 guests for a civil ceremony and up to 100 guests in the evening. The professional, friendly and experienced team aims to delight in looking after guests. There is a choice of function rooms to cater for different sizes and styles of wedding. Today’s UK hotel market is worth £40 billion and is set to grow in 2016 with independent analysis forecasting continued growth of branded hotels at the expense of independents. This is a situation that inevitably favours larger organizations with established infrastructure and the ability to enjoy the benefits of economies of scale. Visit Britain predicts that there will be a 2.5% growth in international tourist arrivals to 35.1m in 2016. Expenditure is also forecast to grow by 4.5%, or £1bn in cash terms, to £22bn. This will be a new record for the tourism industry. repaid in full, equating to a 55% net return on investment. The Main Lease is for 125 years and details the investor’s legal ownership of their unit(s) which is registered at The UK Land Registry. The Sub Lease is for a period of 5 years and provides the investor with an 8% net return per annum on the purchase price in the form of rental income. The Put Option provides that at the end of year 5 the investor can serve notice on the developer to buy the unit(s) back for an amount equal to the original purchase price plus a 15% capital uplift (115%). The Call Option provides that the developer can serve notice on the investor to buy the unit(s) back from them at any time during the first 5 years for an amount equal to the original purchase price plus a 15% capital uplift (115%). Note: The Put Option relates to the investor and the Call Option relates to the Developer. The parties enter into a Pre-emption Agreement which means that the developer has the first option (first refusal) over any sale of the unit(s) within the development. 25% of the purchase price is payable on exchange of contracts. These monies are held as stakeholder by the seller’s solicitor to protect the deposit and will only be released on completion of the purchase of the unit(s). Yes, the hotel is trading and operational. Am I buying a freehold or leasehold? You are buying a 125 year leasehold, with the room being registered in your name at the UK Land Registry. Is the sale handled by a solicitor? Yes, an experienced nominated solicitor will advise and act for you throughout your purchase. Can I re-sell my hotel room? Yes, you can sell at any given time. Can I rent my hotel room out myself? No, your room is leased back to the hotel management company who control the day to day activities. There are no ongoing costs after completion. What are my annual returns? All units receive the same level of return which is equal to 8% p.a. of the purchase price. All units are subject to availability, if you would like to reserve a unit we require a reservation deposit of £2,500 along with a signed reservation agreement which we will forward to you. Is VAT applicable on the purchase of my unit? enables you to claim VAT back post purchase. Further information available on request. Why invest in hotel room? Hotel room investments are one of the newest and hottest products on the global property market. Part commercial property investment, part residential property investment, hotel room investment is one of the fastest growing forms of investment, here's why. Hotel rooms are the perfect investment, you invest in a room (or rooms) and sit back and collect the income. Normally when you read things like that it is too good to be true, but not in this. The room becomes part of the hotel stock, it is serviced and managed as part of the hotel. Depending on the term of the investment there are usually incremental refurbishments, again, this is simply because the room is taken care of with the rest of the hotel. Investing in hotel rooms makes hotel investment accessible to the masses. The hotel industry is one of the biggest and fastest growing industries in the world; all the smart global funds and large investment companies are increasing their exposure to hotels - there are even hotel investment funds. Many private investors don't like investing in funds, they like to keep control of their own investments, but short of buying a hotel they are stumped. Now, they can invest in a hotel room. All hotel investments deals of the Developer come with a guaranteed rental yield. This takes another layer of risk away from the investment, and makes calculating return on investment easier for the investor. Investing in a hotel room tends to be one of the lowest risk investments out there. When you are investing into a globally recognised brand, further, into an established hotel under an established brand, you can see why it would be a low risk investment. 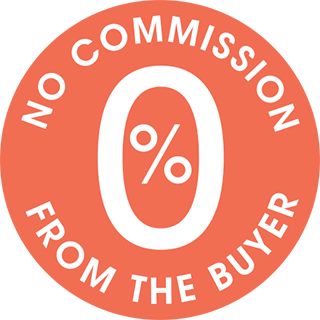 All hotel investments of the Developer come with a guaranteed buyback offer.